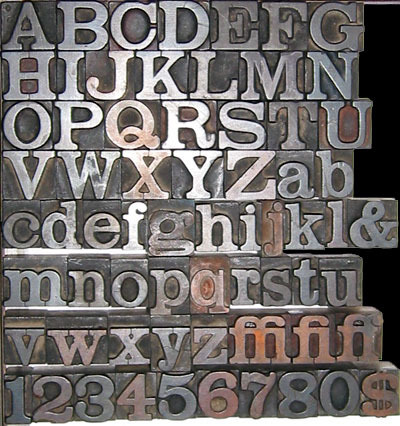 I wish I had a set of Clarendon metal type.I’ve been trying to find materials to use to make type. Potatoes seemed like a good idea, but they are too wet and hard to carve. Other materials tested include: yoga mat, cardboard, foamcore, arts & crafts foam (this seemed to work the best). I am obsessed with this undertaking. If anyone has any ideas bring them on! This entry was posted on	February 9, 2010 at 9:51 pm	and is filed under typography. Oh, this looks like fun! Nina will have ideas, I think, since she’s been into printmaking. I want to learn printmaking so if you would be game to host a printmaking session taught by Nina, that would be so much fun! Have you tried linoleum? 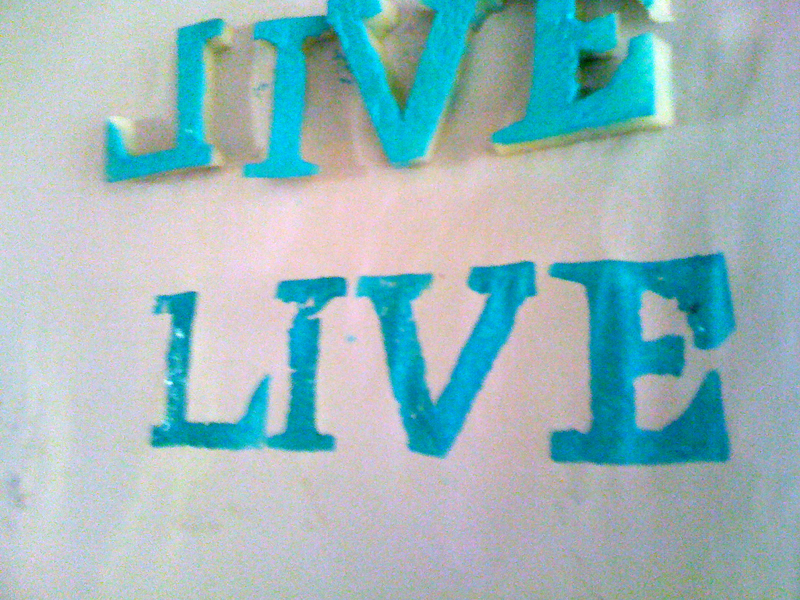 It’s pretty cheap and very easy to cut using linocutting tools. Styrofoam is also fun and super cheap. Ive never used those methods on western paper though so I don’t know if it would create the nice debossing effect of letterpress. I’ll ask at work for you on Friday. Neat project Lara! !